Furniture products are the integral part of house or office. These are the commodities that add beauty to any place. With the ever changing trends, these have also altered from a useful commodity to item for decorative purposes. Previously people purchased furniture to satisfy their needs. But with fast pace fashion, the choices of people have also changed and now they prefer designer or decorative furniture products. Traditionally sofa set is an item of necessity. But evolution in the field of art has changed the mind of people. Now, they are more attractive towards the designer or carved sofa sets. These are very useful in decorating interiors. Craftsmen are manufacturing these as per latest prevailing fashion trends to add beauty to the place. The taste of the society has changed drastically. They now find designer, attractive & exclusive things more interesting. People always look for something different. They want that their things should not fall in the category of common. Similar is the case with designer sofa set. Whether it’s an office or house, they are perfect to give the attractive looks. 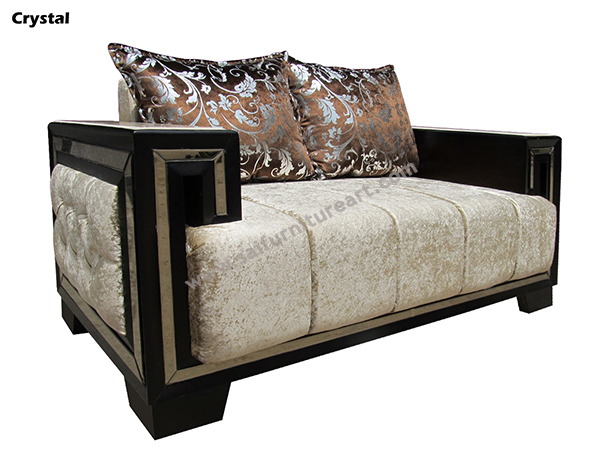 As everyone want to make his/her place exclusive, than for that designer sofa sets is a perfect choice. Manufacturers are offering these designer sofa sets in attractive designs and color patterns. Decorated with very minute sculptures and design patterns they are perfect to add elegance to any place. Craftsmen also bother about the size of their furniture products. For that they now offer sofa sets as per the size requirement of the clients. If the house or office is spacious and can accommodate big & bulky designer sofa sets than they craft these in heavy designs. If someone has less space or need compact designs than for that manufacturers offer compact size & designs.